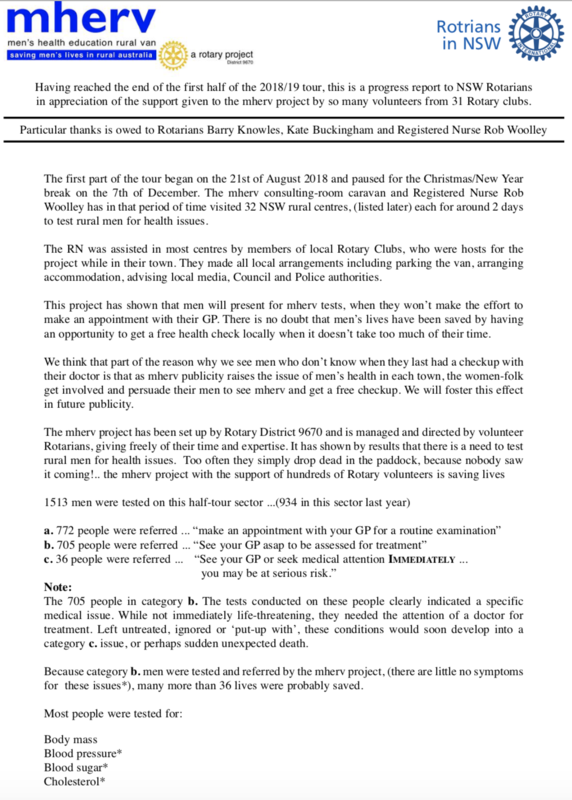 It has been a busy couple of weeks of Rotary involvement for some members despite the lack of Monday meetings with Australia Day and Show catering , Meals on Wheels and the first session of the Mental Health First Aid course. 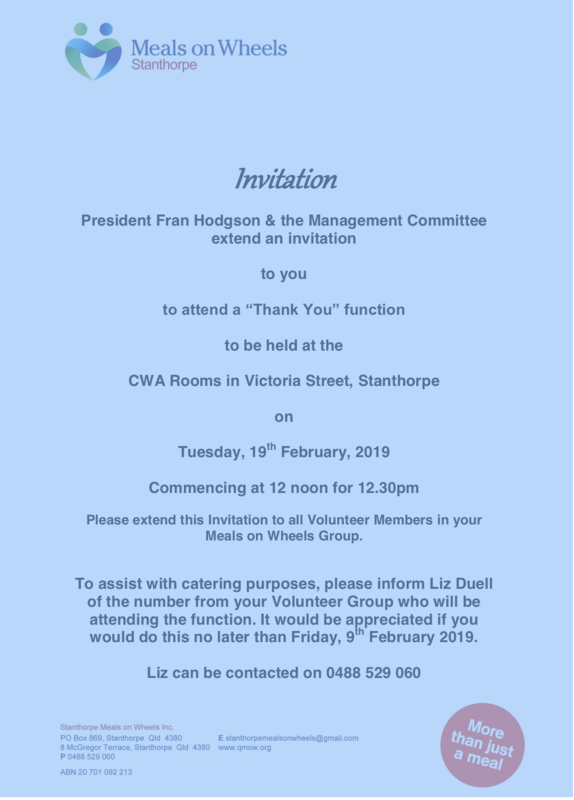 Thanks to all those who have helped or participated in these events and a reminder that the second session of the MHFA workshop is on this Thursday and Friday for those who have registered. By all accounts the participants at the first workshop learnt heaps and our thanks to Jim Barnes for organising these workshops for our wider community. We have quite a lot of leftovers from our catering ventures but coming up soon we have the opportunity to use many of these goods when Stanthorpe Rotary caters for the PETS weekend being held at the Stanthorpe State High School on 23-24th Feb. See the information below and please offer to help where you can. A reminder that the Monday meeting has Anna Henderson and Kirra Bailey Young, our recent participants at RYTS, addressing us on their experiences. Satellite group also have a meeting this Wednesday. We recently had an incident at Monday night dinner where a member was served a meal containing food to which he had an allergy. All members are urged to advise Julia of any allergies they may have so that she can provide a list to the kitchen staff. It is not always the same crew on duty so it is important these things are listed on paper for them. Also see below the newsletter from MEHERV. Our club is being offered the opportunity to hoist this Men's Health Check Van on 4-5 April. More in the future. 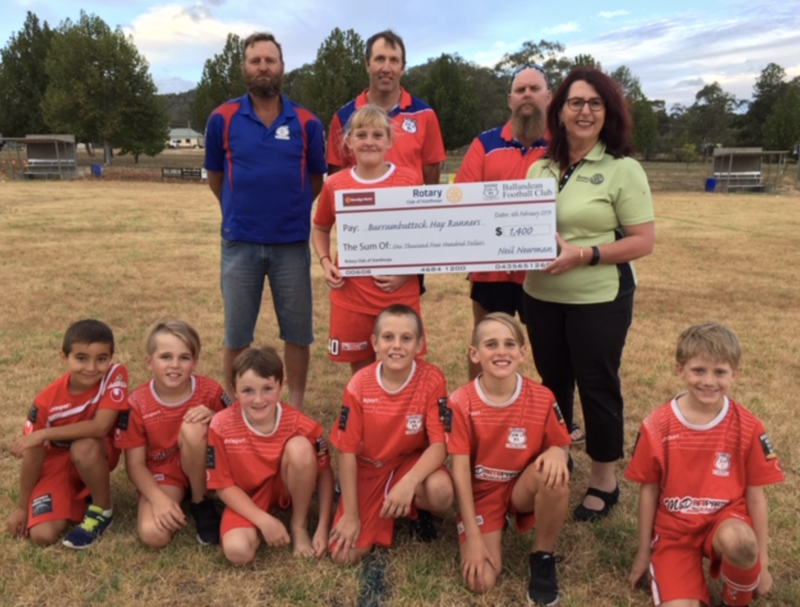 During the 2018 season, the Ballandean Football Club collected donations to support drought affected farmers. This week, the youngsters of the club and some of the executive met with Rotarian Leeanne Gangemi to pass on a cheque for $1400 to the Burrumbuttock Hayrunners, a project supported by the Rotary Club of Sydney. 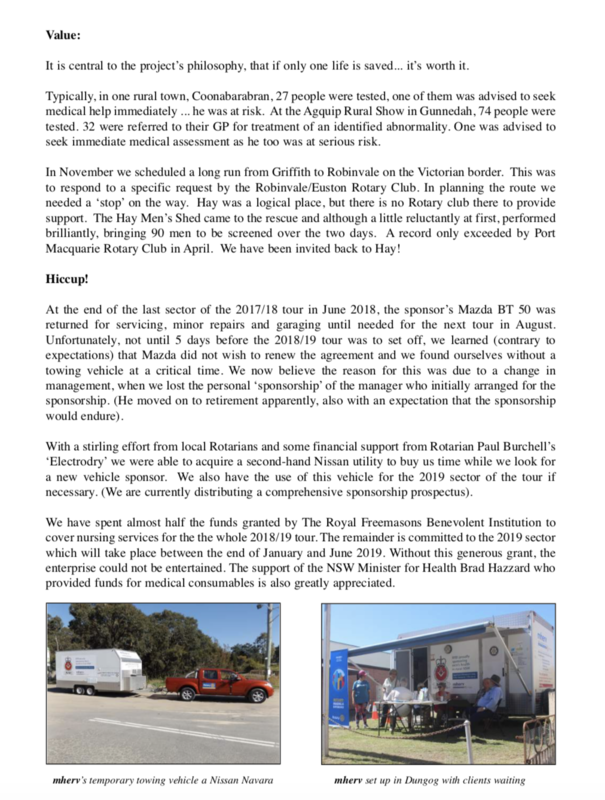 The Rotary Club of STANTHORPE will pass on the donation to the Hayrunners on behalf of the Ballandean Football Club.